UAD-2 Quad Omni DSP V6, DSP Board from Universal Audio in the UAD-2 PCIe series. 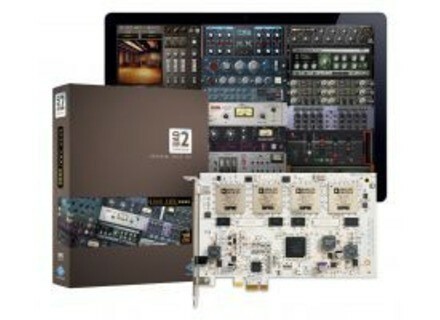 Universal Audio (UA) announced the release of the new UAD-2 QUAD Omni 6 DSP Accelerator Packages. The UAD-2 QUAD Omni 6 DSP Accelerator Packages — available in either PCIe card or Satellite FireWire unit formats is packaged with UAD plug-in bundles. Specifically, the UAD-2 QUAD Omni 6 gives producers and engineers 53 UA-developed plug-ins up to and including UAD software v.6.0. The Omni packages, like other UAD-2 DSP Accelerators, also feature compatibility with the newly announced Avid Pro Tools 10. 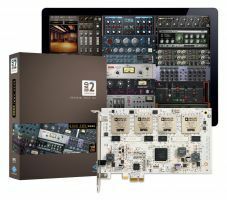 The UAD-2 QUAD Omni packages feature four Analog Devices SHARC chips to “power” analog emulation plug-ins, including classics from Ampex, Lexicon, Studer, SSL, Neve, Manley, Roland, BOSS, dbx, Empirical Labs, EMT, Teletronix, and more. For more information on UAD-2 QUAD Omni 6, visit www.uaudio.com/uad-plug-ins/uad-2-quad/uad-2-quad-omni-6.html and www.uaudio.com/uad-plug-ins/uad-2-quad/uad-2-satellite-quad-omni-6.html. Rack Performer 0.97-alpha Abeem Live Technologies has updated Rack Performer to version 0.97-alpha. Steinberg LoopMash HD Steinberg has released LoopMash HD app for mangling beats and tunes. Previously available for iPhone and iPod touch only, LoopMash HD is a version optimized for the iPad. BIAS Peak Pro 7.0.3 BIAS announced the release of Peak Pro 7.0.3 a new update for the audio editing and mastering application for Mac.